We learn to lie around age two or three. By the time we're adults, we do it a lot-at least once a day, and perhaps more like 2.92 lies in 10 minutes, according to a recent study published in the Journal of Basic and Applied Psychology. It's no wonder we've been chasing after an accurate lie detector for so long. In fact, we've been aiming at ways to expose the lies and the liars who tell them for a long time, and it's never been easy. Two thousand years ago in India, someone suspected of lying was asked to chew a grain of rice. If, after some directed mastication, the subject could spit the rice back out, the truth teller was in the clear. If they couldn't reproduce the grain, it was assumed that the accused's mouth went dry from fear of being found out and he chomped the rice to dust. By 1921, the PhD forensic scientist and police officer John Larson found a way to take the question, blood pressure recording, question, blood pressure recording system up a notch by making the process continuous. Instead of measuring blood pressure piecemeal as subjects answered yes or no, a reading could be taken the entire time, which is more like what we think of when we think of polygraphs today: little seismic readings dictated by our own guilt and deception. The press jumped all over it. In fact, it was the newspapers that coined the machines "lie detectors," which gave the pedestrian medical devices some fancy name recognition. Despite the publicity, the inventors were still were looking for some legal legitimacy. After testing an updated version of his device on suspected WWI spies, in 1923 Marston attempted to carve out a place for his lie detector in the courts. But the court's decision (Frye v. United States) came down against him. Although he was confident in his machines, the court decided there was just too much opportunity for error. 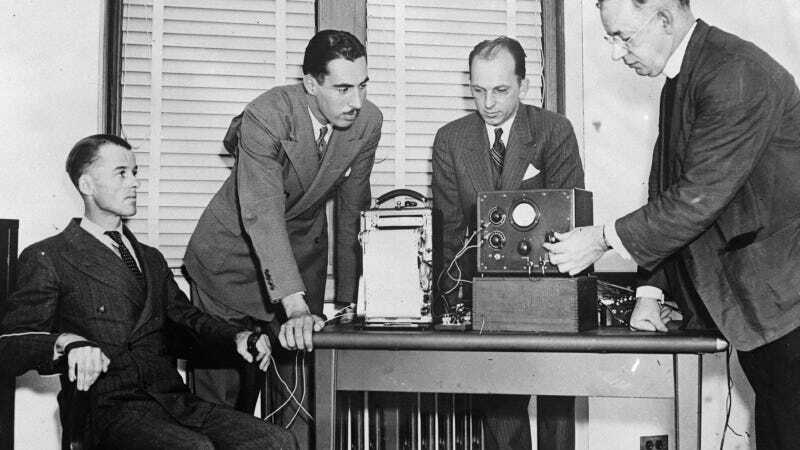 In fact, the Supreme Court agreed with its initial decision even 75 years later, claiming, "To this day, the scientific community remains extremely polarized about the reliability of polygraph techniques." They're inadmissible to this day. So the court didn't approve them. So what? The people still wanted a lie detector. Even though they weren't good for a conviction, the machines started popping up in banks, factories, and departments of government. Today they are good enough to get you booted from the police force interview process—but not good enough to land you in prison. Unfortunately, liars are crafty, and they've gotten better at gaming these systems. Some carefully applied deodorant on the palms or a sedative to keep your physiological response down, for instance, can trick the machine into thinking a crook is a stand-up citizen. And then there's the opposite situation: when the subject is doing everything right, but the machine isn't. It happens. Most polygraph agencies put their lie detectors in the 86 percent accurate or above range. Dive deeper into the body, though, and you get better results. Since the 1960s we've known that human brains light up with activity 300 milliseconds after we spot an image that means something to us. So during a series of slides-coffee table, rose, chair, the green leopard print belt used to strangle a subject-the brain will do a little dance upon spotting the last image if it's familiar. Basically, scientists have developed a way to out you without you having to say a word at all. The problem: It's not really a lie detector. All it tracks is recognition. And for the process to be valuable, each police case needs to have a highly unique item connected to the crime to flash across the screen. So the quest continues. Better brain scans and more accurate ways of peeking inside our body's processes will bring us a better lie detector yet. Until then, the only lie detector that is truly 100 percent accurate is Pinocchio's. Drawing Board is where we explore the amazing origins of everyday objects. Know an interesting story? Tip us off at drawingboard@gizmodo.com with the subject line: "Idea for drawing board," and we'll investigate.